The smooth curvature and elegance of the polished light emperador marble bathtub accused comfort and tranquility. Upgrade tub to two person size that is 41″ Wide. Light Emperador Marble comes from Spain. Spain has many unique marbles. 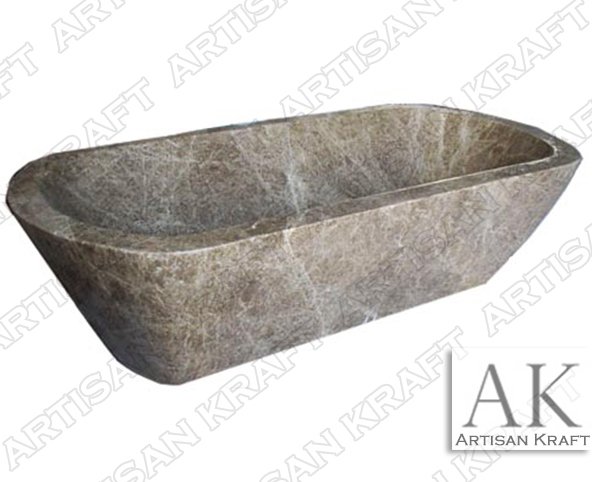 This tub style is a marries oval, slipper and rectangular stylings together. This shape look great made from black marble. Copper freestanding tubs are another option.